A NEW AND EXCITING WAY TO PLAY BINGO! LET THE BINGO BINGO BEGIN - PLAY NOW! 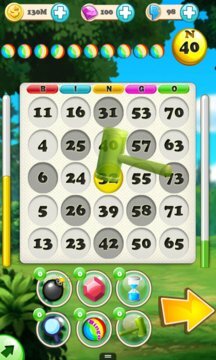 Complete all the bingo patterns as you race to get your highest bingo score. YOU are in control of the pace. 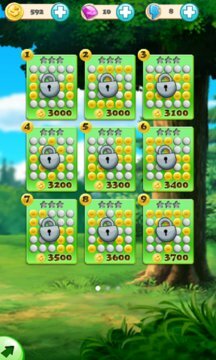 The faster you daub the bingo card or skip to the next bingo ball, the more coins and gems you will be awarded. Use your awesome power-ups to complete the bingo pattern and BLACKOUT quicker! Develop your own tactics and OWN THE GAME! As you become more skillful, you will become richer with coins and gems! There are nearly 30 Bingo patterns to complete. There will be much more Bingo cards and chapters in future updates.